THE ACT government has announced plans to outlaw greyhound racing in the territory by June 30, 2018 after the release of an independent report by Mary Durkin. Titled the Greyhound Racing Industry Transition Options Analysis, the report was released on Friday morning in conjunction with Attorney General Gordon Ramsay’s announcement. Ramsay said that greyhound racing was ‘out of line’ with community values and that there is no place for the sport in the ACT. “There is no future for the greyhound industry in the ACT and we will continue to work with the local greyhound racing industry and animal welfare groups during this transition,” Mr Ramsay said. The ACT government has been steadfast in its position on ending greyhound racing since ex-Premier Mike Baird’s controversial ban on the sport in NSW in July last year. Whilst the NSW ban was ultimately repealed, the ACT government have not backed down, claiming that the issues in NSW had a far reaching impact on greyhound racing in the Territory. 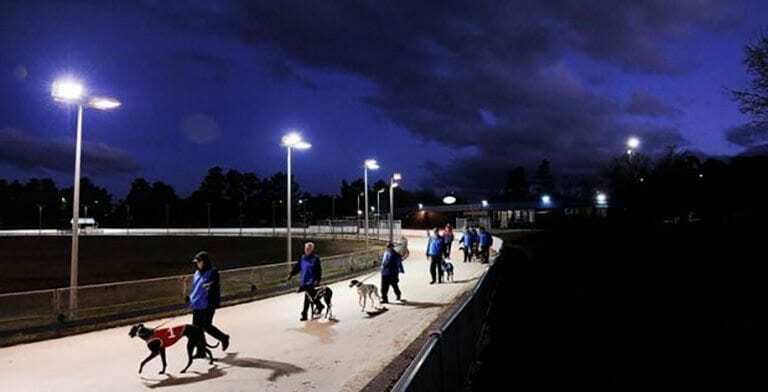 The majority of greyhounds which race at the sole track in Canberra come from NSW, with an estimated 71 dogs trained within the ACT. This close connection to NSW was partly used as the basis for banning the sport within the state, despite no evidence that any trainers or greyhounds had been involved in cases of animal cruelty or live baiting. “As the Durkin report states, the greyhound industries in NSW and the ACT are inextricably linked,” Ramsay said. “We cannot turn a blind eye to the sort of behaviour and animal cruelty uncovered in NSW. Nor can we ignore the impact of regulatory failure in relation to those matters in that jurisdiction. Ramsay also announced that the ACT government will be providing more than $1 million to assist workers within the industry to re-skill and to ensure the welfare of the greyhounds affected. Gordon could get a job at the NAB but what about Mary? Allegedly- Poor old Mary found her previous job as the Health Services Commissioner just so stressful she just decided to ignore all the complaints she received and failed to act on any of them. Didn’t resign or take leave or anything like that just shut up shop while still collecting her very generous tax payer funded salary. Just another grubby little deal with the mouldy greens - this time with the Labor party so they can stay in power. My prediction is it will go as well as it did for the Liberals. They should know better than to jump into bed with the greens- treacherous tarts. The greens in the Federal parliament were all huddled together looking sad and rejected and confused when they were not needed by the government to pass Gonski- worried I would say about loss of power and once electricity is unaffordable and blackouts are constant -thanks to their utter stupidity about “saving the planet” their days are numbered. Looking for relevance they fall back on their “animal cruelty” line, despite the fact it did not work in NSW, they and the Labor party in the ACT are all slow learners.